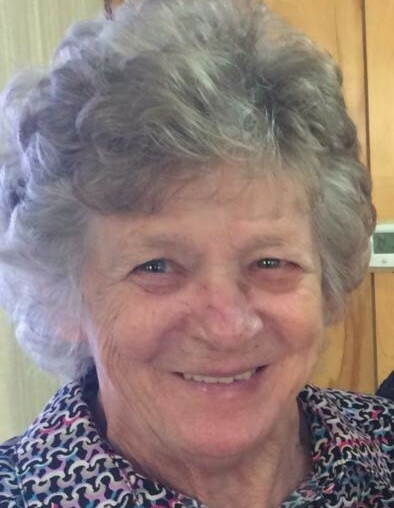 Lois Marcum, 77, of Fort Gay, WV went home to be with the Lord on Thursday, March 28, 2019 at Three Rivers Medical Center in Louisa, KY. Lois was born June 6, 1941 to the late George and Myrtle Sandefur. In addition to her parents, she was preceded in death by her sister in law Lamina Sturgill. Lois was a loving Christian woman. She loved to tend to her flower garden and to take care of her husband and her great grandbabies. Survivors include her husband of 59 years Claud Marcum; son and daughter in law Mark and Karen Marcum; grandchildren Jessica (Robert) Patrick and Bradley (Amanda) Marcum; great grandchildren Liam Hall, Addilyn Rae Marcum, Paisley Marie Patrick; sisters Joyce Konkoly and Carroll Peru; step mother Velva Marcum; in-laws Bill and Lahoma Ailiff, Charles and Chris Marcum, Robert and Libby Marcum; and many nieces and nephews. Funeral services will be conducted Monday, April 1, 2019 at 1:00 PM at the Young Funeral Home Chapel with Brother Tony Sammons officiating. Burial will follow in Greenlawn Cemetery. Friends may visit the family on Sunday, March 31, 2019 from 6:00 PM to 9:00 PM at the Young Funeral Home Chapel. Young Funeral Home has been entrusted with the care of Mrs. Marcum.